Boy, was it hot and humid today! I felt sure we would expire in the heat. The day started well but didn’t finish as we had expected! 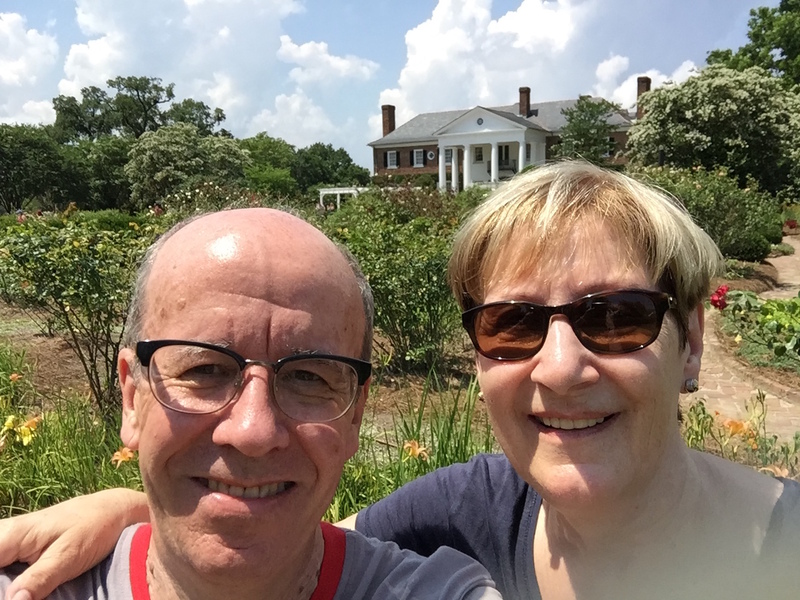 For our first full day in Charleston we decided to visit Boone Hall Plantation and Gardens. 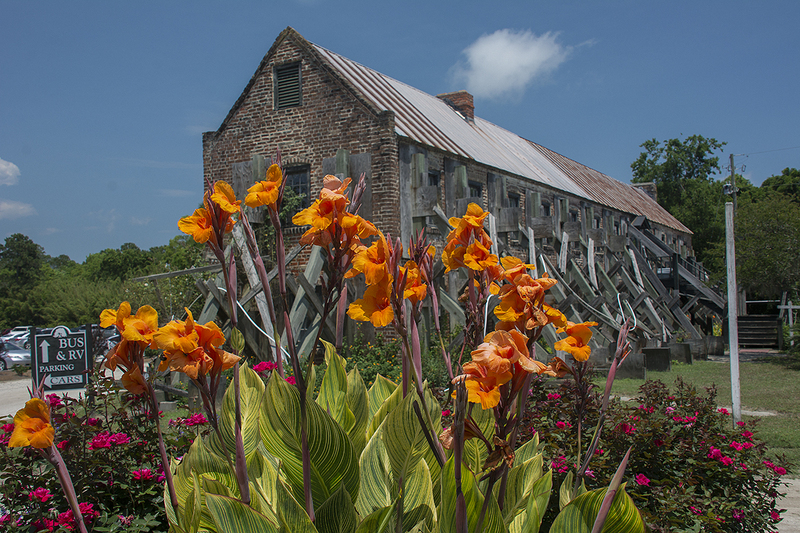 It is one of America’s oldest working, living plantations and has been continually growing crops for over 320 years. The earliest known reference to the site is of 1681. It originated from a land grant given to Major John Boone. 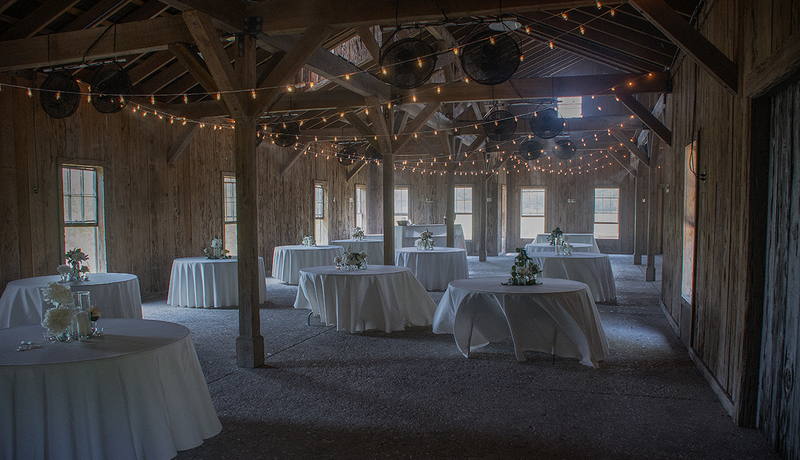 The land grant of 470 acres was given by Theophilus Patey as a wedding present to his daughter, Elizabeth, and Boone. The original wooden house was constructed in 1790. The house was a two-story, wooden house with a one-story front porch. This photograph was taken in about 1900 and shows the former house on the grounds. The house that stands now was built in 1936 by Thomas Stone, a Canadian who purchased the land in the early 20th century. He wanted a “grander style” home than what was there, so he built the Colonial Revival-style house. 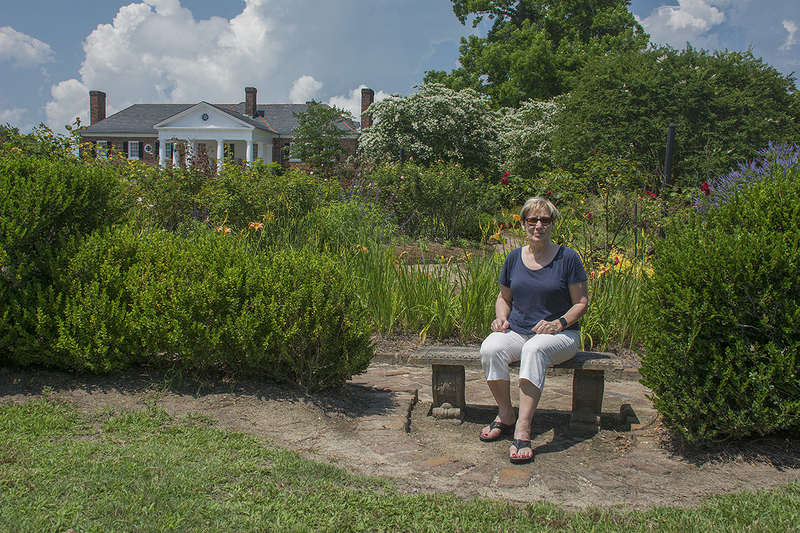 On the grounds today, besides the house, sit nine of the original slave cabins which date back to 1790-1810, a smoke house dating back to 1750, the Cotton Gin house 1853 and the grand Avenue of Oaks that was created in 1743 by Major Boone’s son, Captain Thomas Boone. He planted two evenly spaced rows of trees and it has taken 200 years for the trees to meet overhead to form the present-day scenic corridor. He was a man with great vision as he knew that he would not be alive to see his work come to fruition. In fact he died just three years after planting the trees. 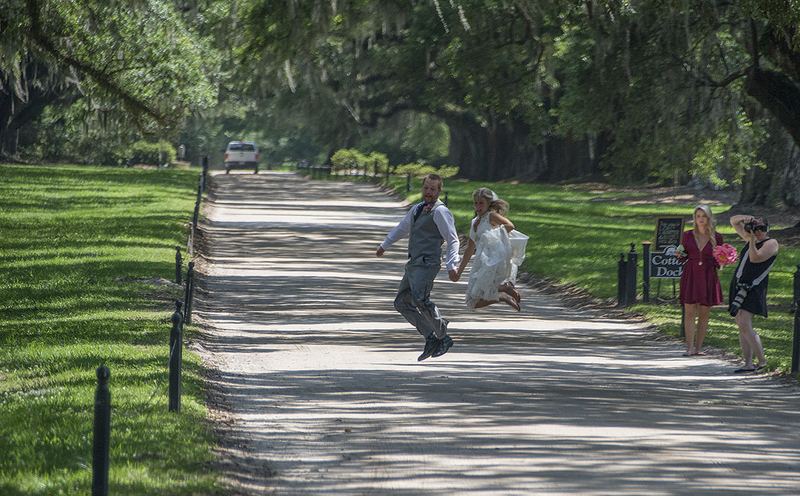 The live oak trees run 3/4 of a mile long from the entrance to the front house gates. 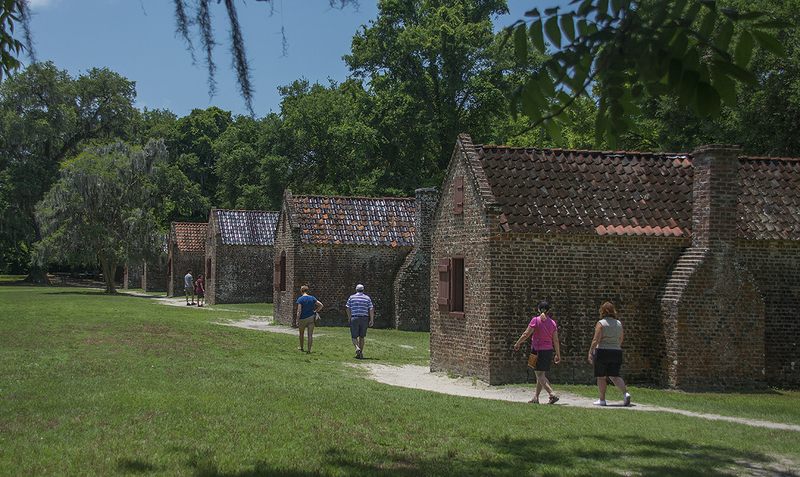 Boone Hall Plantation today spans 738 acres. The oldest oak on the plantation is 600 years old. There have been many owners over the years including English, German, Georgian, Canadians and Americans. 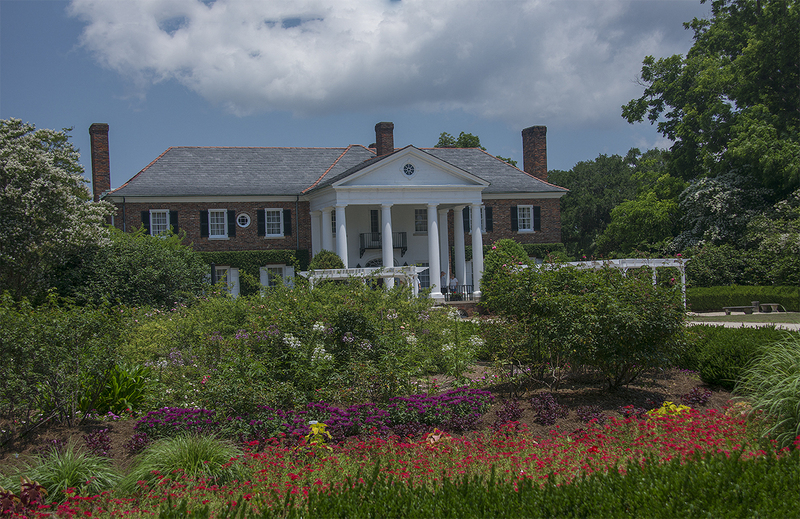 Mr Harris M. McRae and his wife, Nancy Thomas purchased the property in 1955 and opened the plantation to the public in 1957 and have made great efforts to preserve the original structures and gardens. 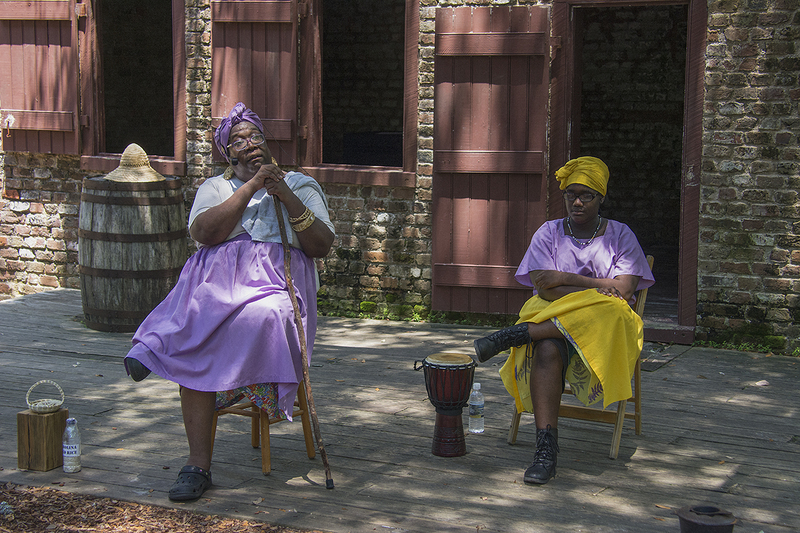 There are various tours and presentations on the plantation but one of the favourites of visitors is the one called ‘Exploring the Gullah Culture’ a unique culture adapted by African slaves. 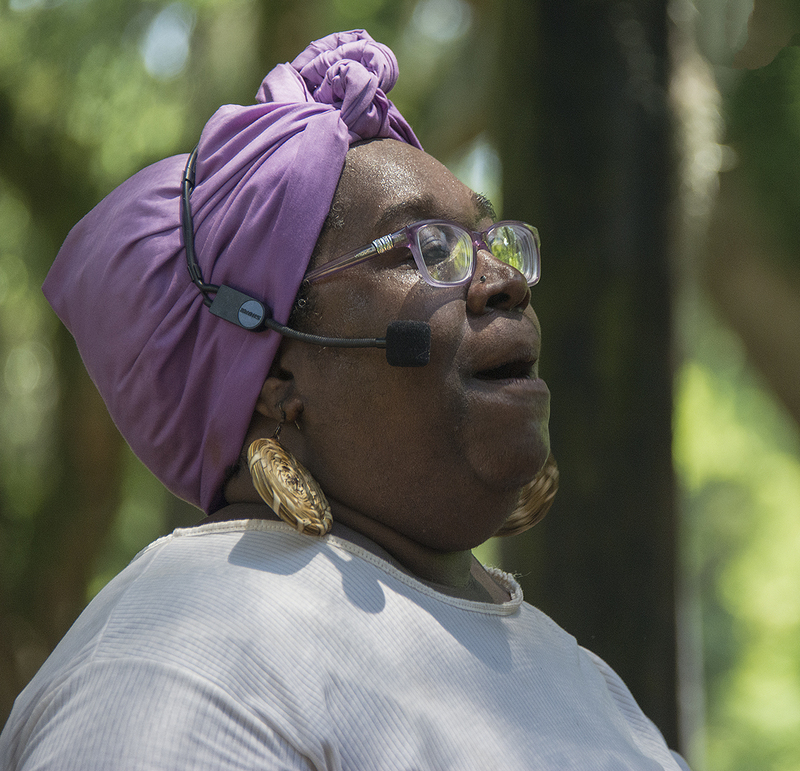 “Gullah” is a term that was originally used to designate the variety of English spoken by Gullah and Geechee people, but over time it has been used by its speakers to formally refer to their language and distinctive ethnic identity as a people. 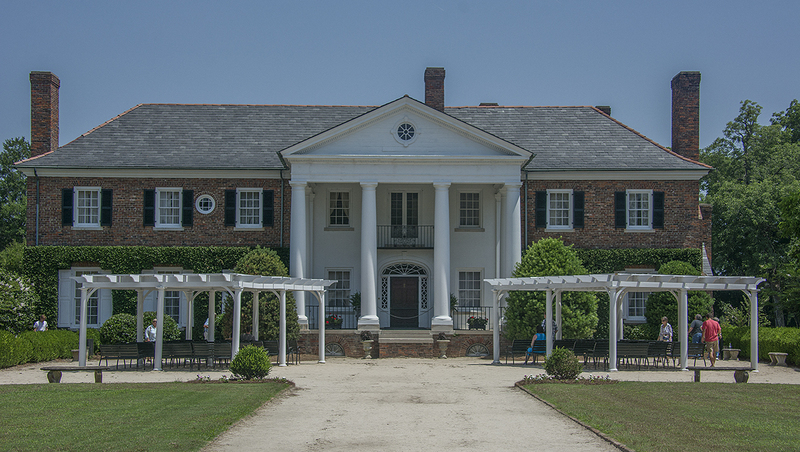 Boone Hall has appeared in a number of films and TV programmes, notably the film, The Notebook, TV series North and South and Alex Hayley’s Queen. 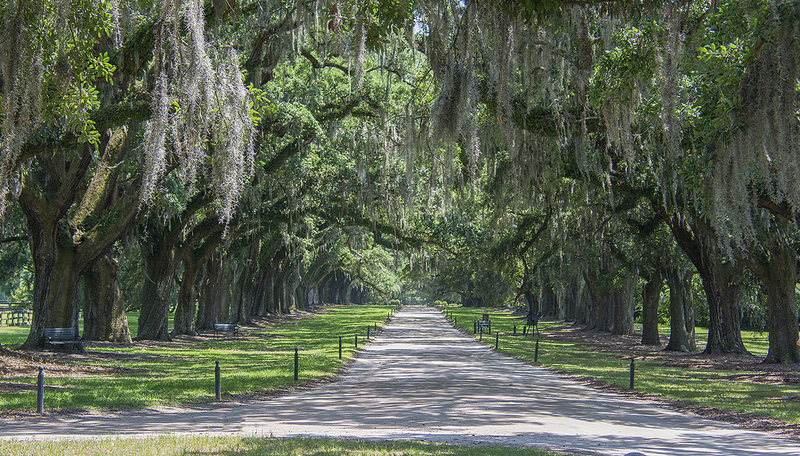 Also, the avenue of oaks at Boone Hall were used for the oak trees at Twelve Oaks, the Wilkes family in Gone With The Wind. 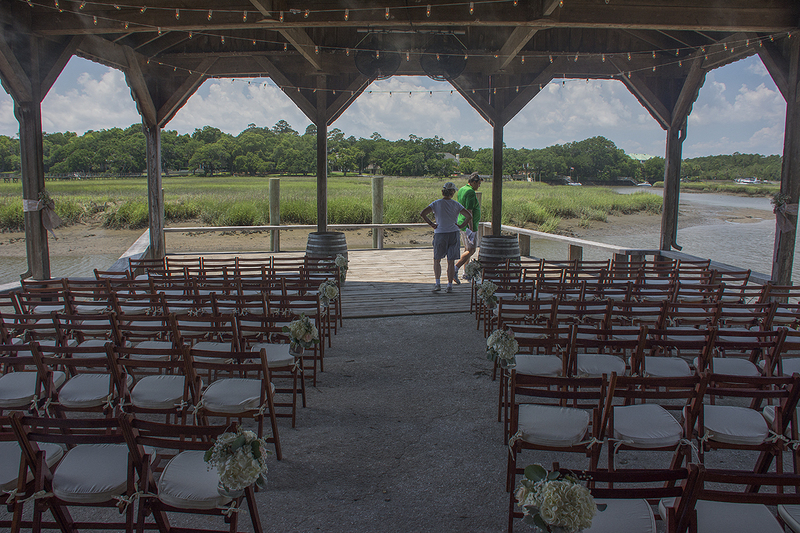 Boone Hall holds on average three weddings a week and they were preparing for one today. 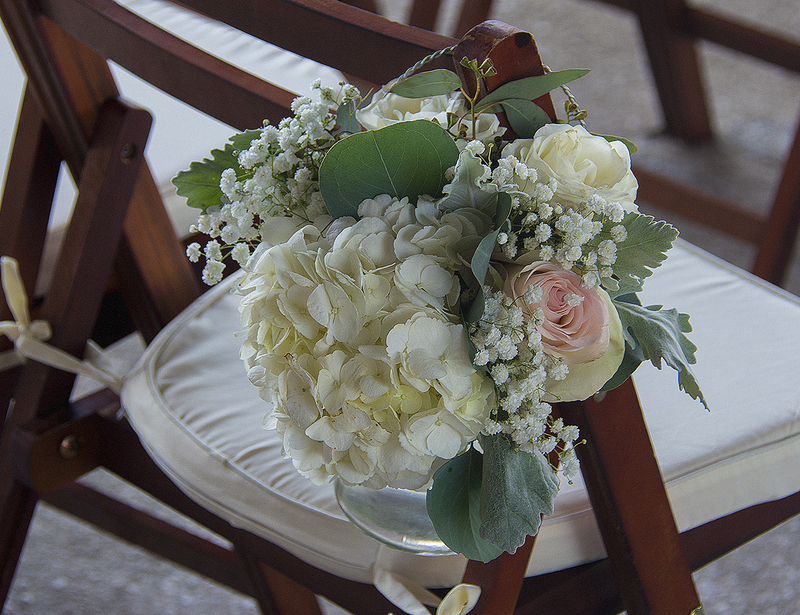 Also, another newly married couple came to have their wedding pictures taken there too. We left Boone Hall in beautiful sunshine, but just ten minutes down the road drove into another storm the same as yesterday’s. Jet black sky, torrential rain, thunder and lightening. To make things worse, we suddenly had a notification in the car that there was a fault with the engine and service was needed now!!!! Charming, here we go again!! Luckily there was an Avis facility close by so we drove there to discover it was a Sears Auto and not an actual Avis Rental office. They said the car would have to be changed over. The only problem was they had two cars of similar type but they were of a lower spec to the one we were driving so we turned both of those down. Eventually, they offered us the only other vehicle available which was a Nissan Infinity of a very high spec. I don’t think the guy was particularly happy giving us that one but he agreed to. Fingers crossed we don’t have any further problems or Avis will be receiving a very strong letter from us. So, a very stressful ending to a lovely day. Tomorrow we meet up with Denise and Desiree and we are told it’s going to be even hotter than today!! Where’s that cool towel to mop my fevered brow!!?? Thanks Perry. Yes, it was a relief to get it sorted out quite quickly. Sorry to here about the car and weather. Question: why is it called a plantation and why didn’t/don’t we have them in the UK? Great to read about your journey! Hi Jules, thanks. Good question! The definition is ‘an estate where cash crops are grown on a large scale (especially in tropical areas’) so I guess it’s because they plant things in hot places! I guess we don’t have in the UK because we are not tropical so have to call them farms. Is that a good answer? Ha, ha, ha. I read this as yet another grey day dawns here in blighty. This week has been remarkably drab. Glorious June it is not. Yesterday included a scheduled trip to the dentist, so these blogs are cheering me up no end! The temperature in the car on Wednesday morning read 11 degrees c! Travel safe and get a hat Simon! Hi Malcolm, oh dear, shame about the dentist! 11 degrees, my goodness, that’s not hot at all! Si has been wearing his hat but complains about it being hotter with it on!! He is wearing factor 50 on his head though so hopefully that will be okay! Hi Auntie Sand and Uncle Simon, looks like another amazing holiday so far. 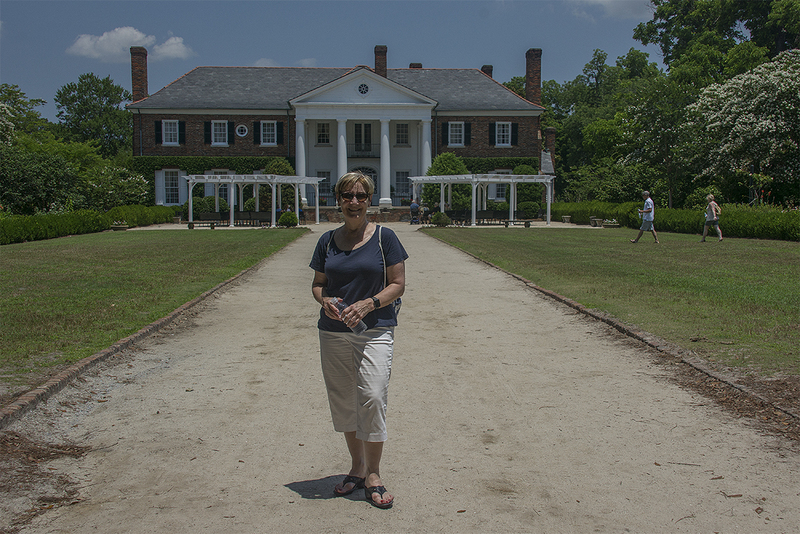 Boone Hall looks lovely wasn’t that Orry Maine’s home in north and south. Lots of lovely photo’s especially of food and drink!!!!! I have a Bubba Gumps cocktail shaker.